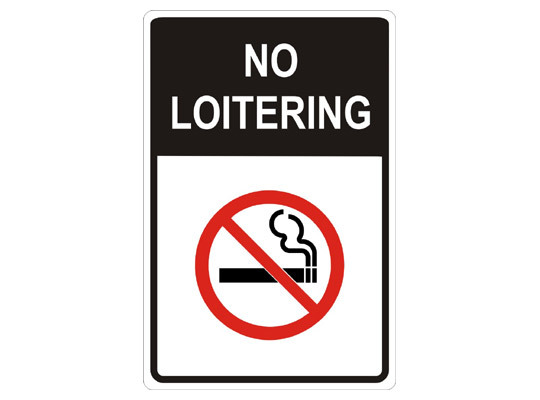 Keep common loitering areas clear of cigarette butts, and ensure patrons & tenants abide by city bylaws. 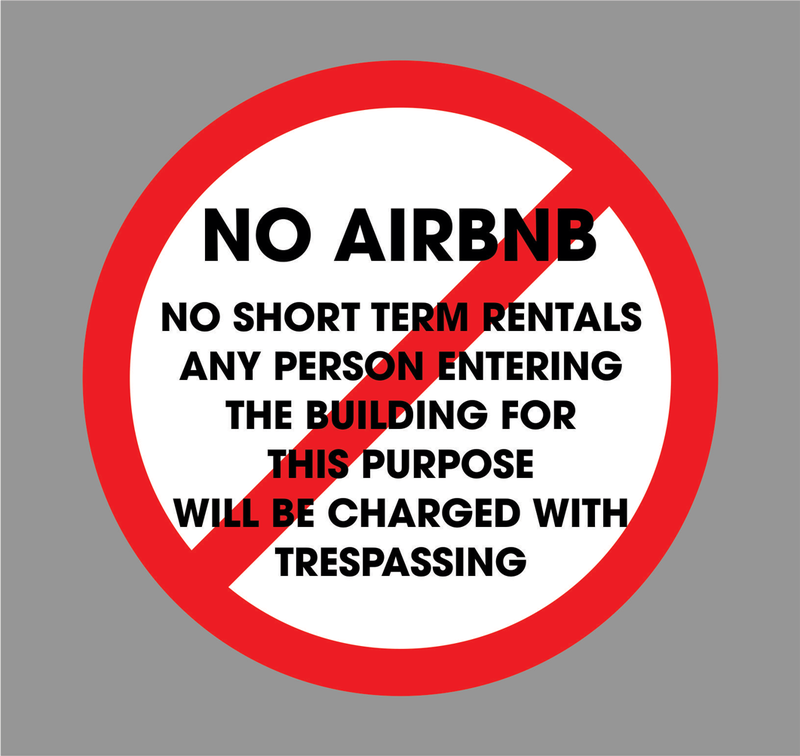 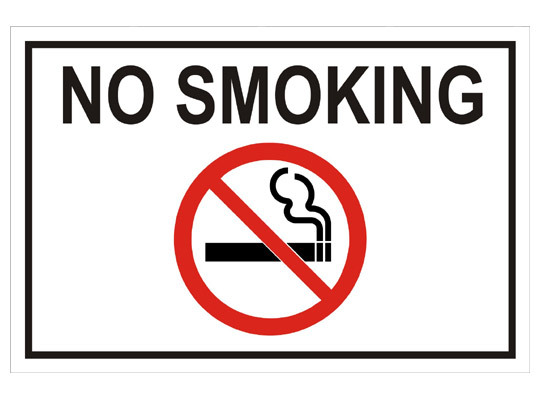 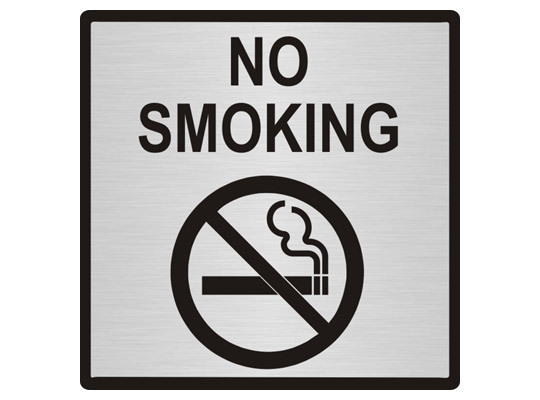 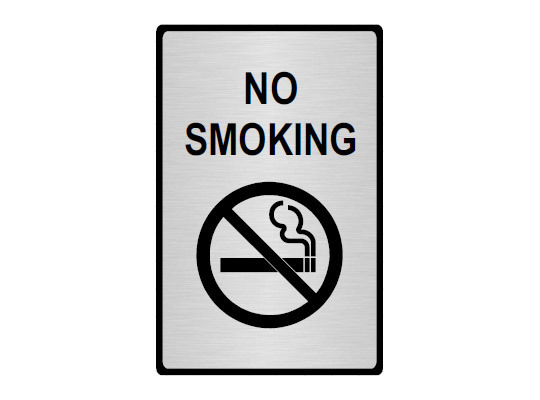 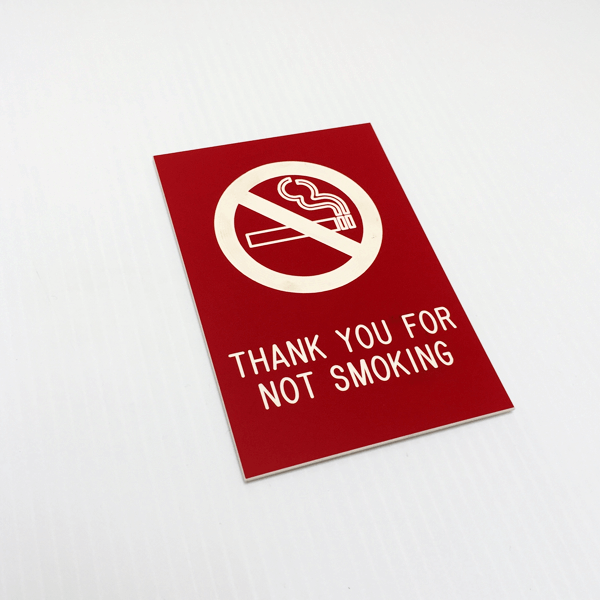 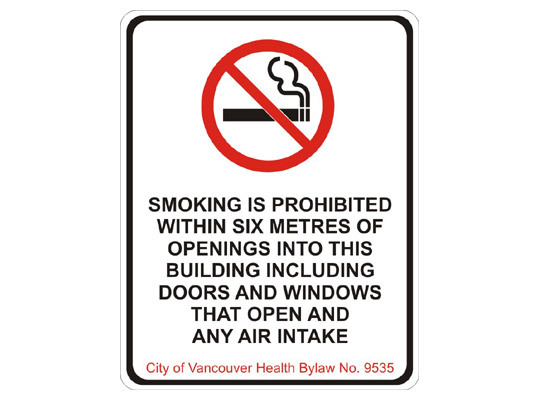 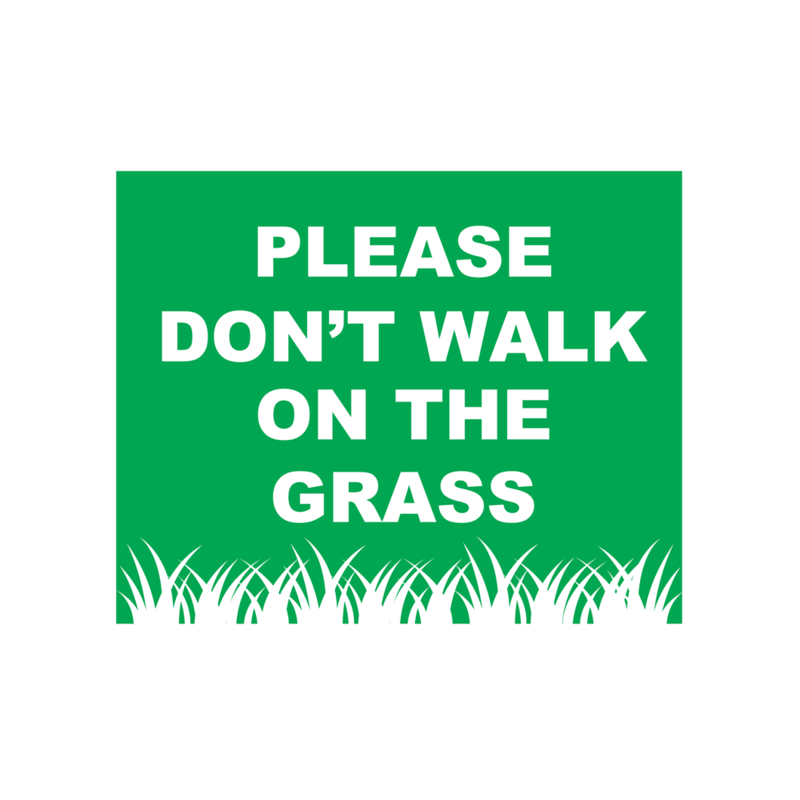 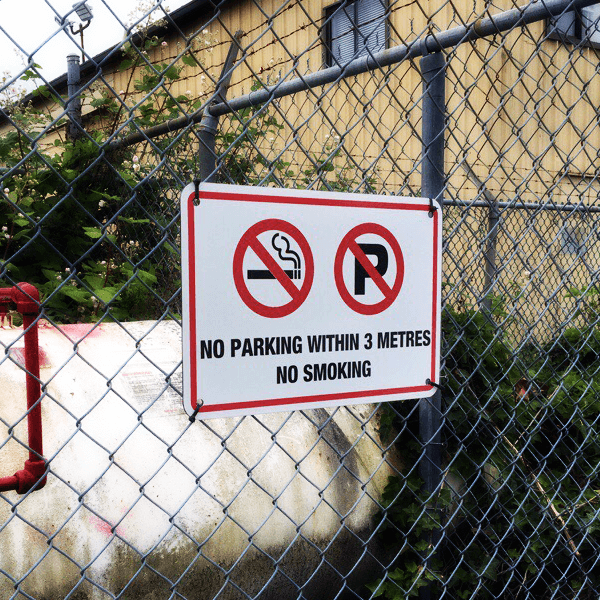 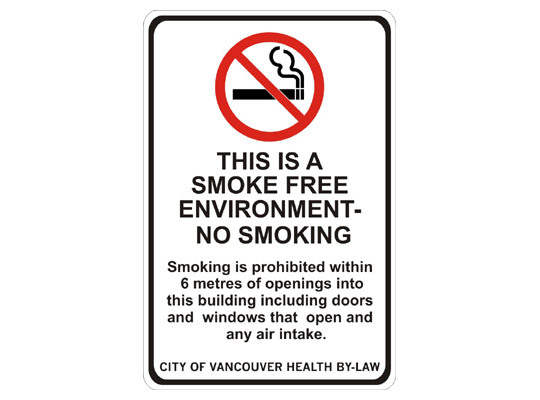 No smoking signs can be large and cite specific bylaws or small and classy to fit your specific needs. 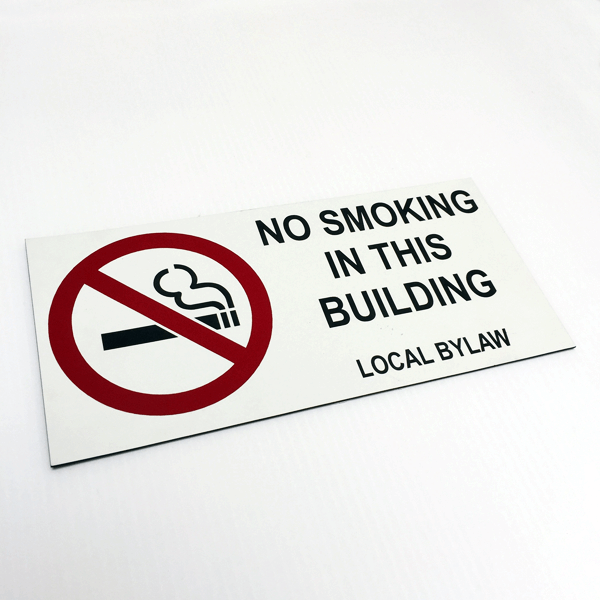 No smoking signs can be made from a variety of materials including alupanel, vinyl graphics on glass, acrylic, and brushed aluminium. 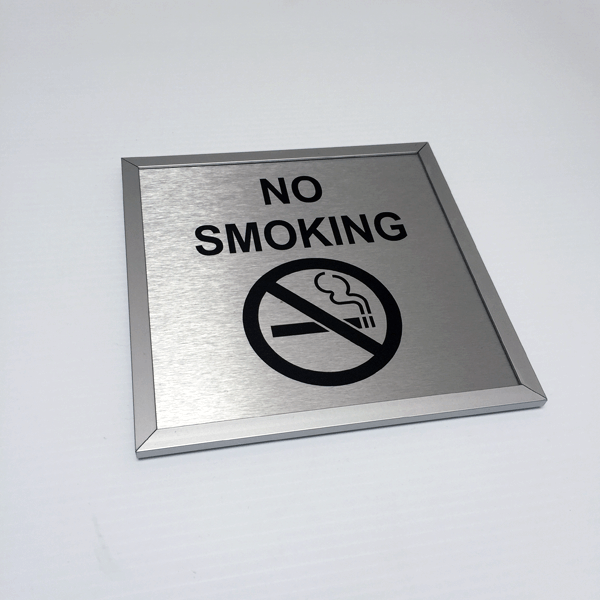 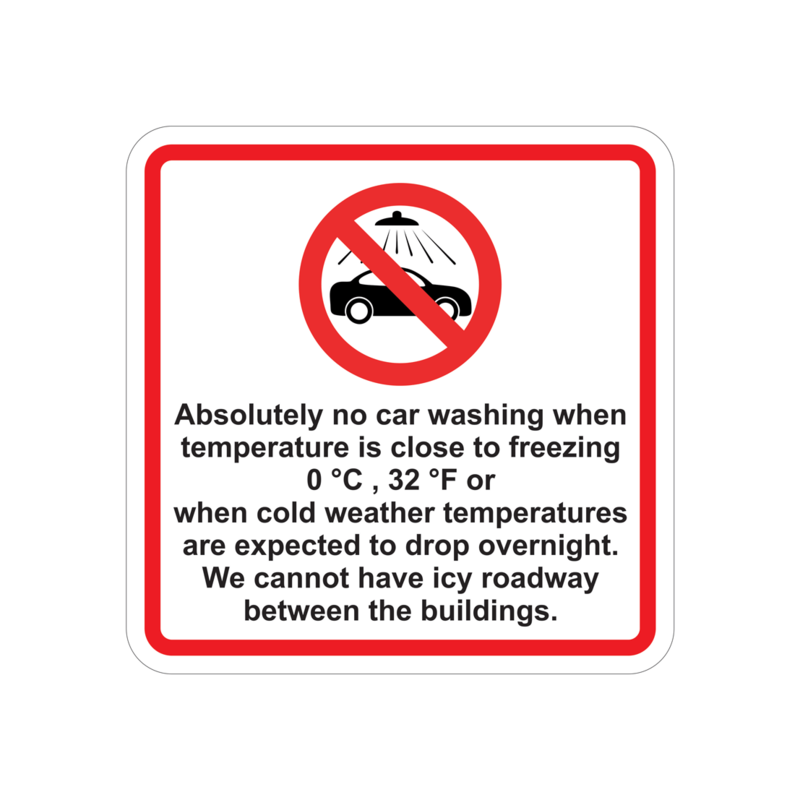 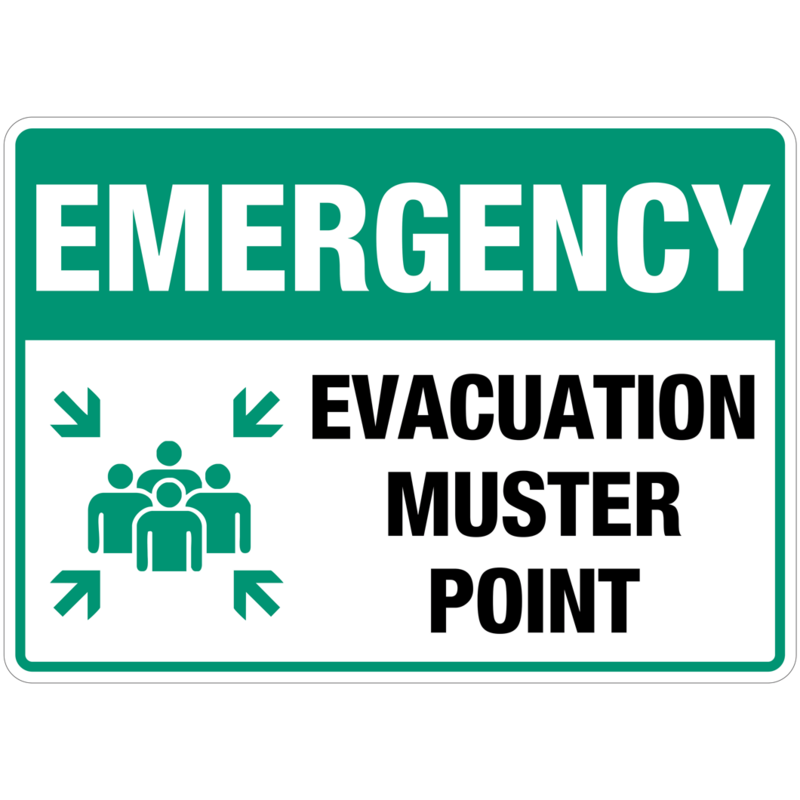 We can also make matching sign sets for your building that include no smoking signs, as well as directories, tenant door plates, elevator signs, emergency exit signs, and much more.